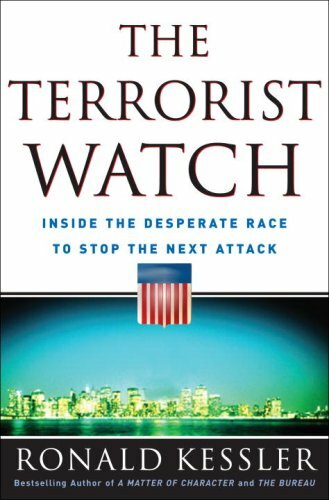 Drawing on unprecedented access to FBI and CIA counterterrorism operatives, New York Times bestselling author Ronald Kessler presents the chilling story of terrorists’ relentless efforts to mount another devastating attack on the United States and of the heroic efforts being made to stop those plots. Kessler takes you inside the war rooms of this battle—from the newly created National Counterterrorism Center to FBI headquarters, from the CIA to the National Security Agency, from the Pentagon to the Oval Office—to explain why we have gone so long since 9/11 without a successful attack and to reveal the many close calls we never hear about. The race to stop the terrorists, Kessler shows, is more desperate than ever. Never before has a journalist gained such access to the FBI, the CIA, the National Counterterrorism Center, and the other agencies that are doing the unheralded work of finding and capturing terrorists. Ronald Kessler’s you-are-there narrative tells the real story of the war on terror and will transform the way you view the greatest problem of our age. Ronald Kessler is the New York Times bestselling author of sixteen nonfiction books, including The Bureau: The Secret History of the FBI; Inside the CIA; Inside the White House; A Matter of Character; and Laura Bush: An Intimate Portrait of the First Lady. A former Washington Post and Wall Street Journal investigative reporter, Kessler has won sixteen journalism awards, including two George Polk Awards. He is chief Washington correspondent of NewsMax.com. Kessler lives in Potomac, Maryland, with his wife, Pamela. His website is www.RonaldKessler.com.